The tutorial explains how to lock a cell or certain cells in Excel to protect them from deleting, overwriting or editing. It also shows how to unlock individual cells on a protected sheet by a password, or allow specific users to edit those cells without password. And finally, you will learn how to detect and highlight locked and unlocked cells in Excel. In last week's tutorial, you learned how to protect Excel sheets to prevent accidental or deliberate changes in the sheet contents. However, in some cases you may not want to go that far and lock the entire sheet. Instead, you can lock only specific cells, columns or rows, and leave all other cells unlocked. For example, you can allow your users to input and edit the source data, but protect cells with formulas that calculate that data. In other words, you may want to only lock a cell or range that shouldn't be changed. 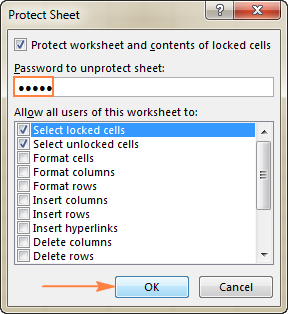 Locking all cells on an Excel sheet is easy - you just need to protect the sheet. Because the Locked attributed is selected for all cells by default, protecting the sheet automatically locks cells. If you don't want to lock all cells on the sheet, but rather want to protect certain cells from overwriting, deleting or editing, you will need to unlock all cells first, then lock those specific cells, and then protect the sheet. The detailed steps to lock cells in Excel 2010, Excel 2013 and Excel 2016 follow below. 1. Unlock all cells on the sheet. By default, the Locked option is enabled for all cells on the sheet. That is why, in order to lock certain cells in Excel, you need to unlock all cells first. Press Ctrl + A or click the Select All button to select the entire sheet. 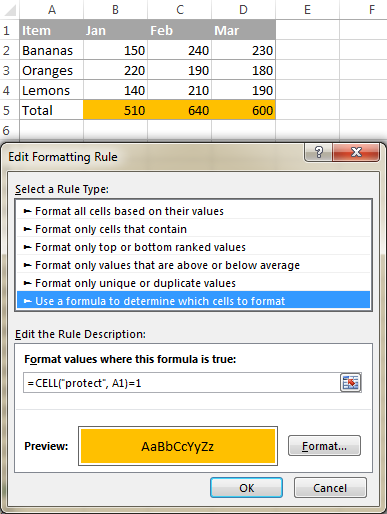 Press Ctrl + 1 to open the Format Cells dialog (or right-click any of the selected cells and choose Format Cells from the context menu). In the Format Cells dialog, switch to the Protection tab, uncheck the Locked option, and click OK.
2. Select cells, ranges, columns or rows you want to protect. To lock cells or ranges, select them in a usual way by using the mouse or arrow keys in combination with Shift. To select non-adjacent cells, select the first cell or a range of cells, press and hold the Ctrl key, and select other cells or ranges. To protect one column, click on the column's letter to select it. Or, select any cell within the column you want to lock, and press Ctrl + Space. To select adjacent columns, right click on the first column heading and drag the selection across the column letters rightwards or leftwards. Or, select the first column, hold down the Shift key, and select the last column. To select non-adjacent columns, click on the first column's letter, hold down the Ctrl key, and click the headings of other columns you want to protect. To protect rows in Excel, select them in a similar manner. To lock all cells with formulas, go to the Home tab > Editing group > Find & Select > Go To Special. In the Go To Special dialog box, check the Formulas radio button, and click OK. For the detailed guidance with screenshots, please see How to lock and hide formulas in Excel. With the required cells selected, press Ctrl + 1 to open the Format Cells dialog (or right-click the selected cells and click Format Cells), switch to the Protection tab, and check the Locked checkbox. On the Review tab, in the Changes group, click the Protect Sheet button. Or, right click the sheet tab and select Protect Sheet… in the context menu. 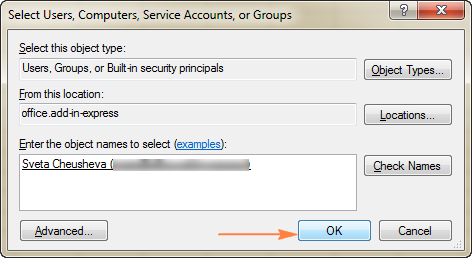 You will be prompted to enter the password (optional) and select the actions you want to allow users to perform. Do this, and click OK. You can find the detailed instructions with screenshots in this tutorial: How to protect a sheet in Excel. Done! The selected cells are locked and protected from any changes, while all other cells in the worksheet are editable. For more information, please see How to unprotect an Excel sheet. 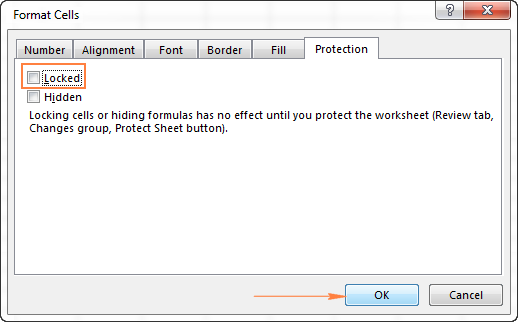 As soon as the worksheet is unprotected, you can edit any cells, and then protect the sheet again. If you want to allow users to edit specific cells or ranges on a password-protected sheet, check out the following section. In the first section of this tutorial, we discussed how to lock cells in Excel so that no one even yourself can edit those cells without unprotecting the sheet. Select the cells or ranges you want to unlock by a password when the sheet is protected. Go to the Review tab > Changes group, and click Allow Users to Edit Ranges. Note. This feature is available only in an unprotected sheet. If the Allow Users to Edit Ranges button is greyed out, click the Unprotect Sheet button on the Review tab. In the Title box, enter a meaningful range name instead of the default Range1 (optional). In the Refers to cells box, enter a cell or range reference. 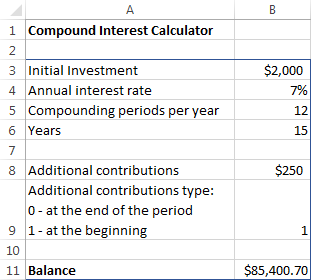 By default, the currently selected cell(s) or range(s) are included. In the Range password box, type a password. Or, you can leave this box empty to allow everyone to edit the range without password. Tip. In addition to, or instead of, unlocking the specified range by a password, you can give certain users the permissions to edit the range without password. To do this, click the Permissions… button in the lower left corner of the New Range dialog and follow these guidelines (steps 3 - 5). The Confirm password window will appear and prompt you to re-type the password. Do this, and click OK. The new range will get listed in the Allow Users to Edit Ranges dialog. If you want to add a few more ranges, repeat steps 2 - 5. Click the Protect Sheet button at the button of the window to enforce the sheet protection. In the Protect Sheet window, type the password to unprotect the sheet, select the check boxes next to the actions you want to allow, and click OK. Tip. It is recommended to protect a sheet with a different password than you used to unlock the range(s). In the password confirmation window, re-type the password and click OK. That's it! 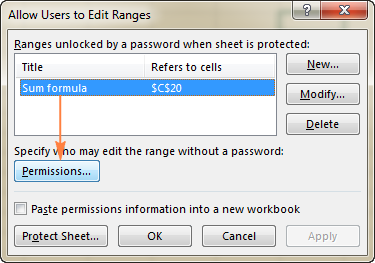 Now, your worksheet is password protected, but specific cells can be unlocked by the password you supplied for that range. And any user who knows that range password can edit or delete the cells contents. Unlocking cells with password is great, but if you need to frequently edit those cells, typing a password every time can be a waste of your time and patience. 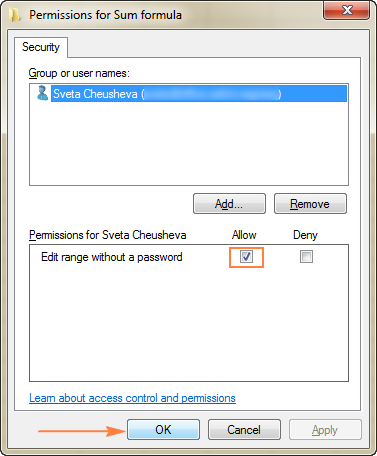 In this case, you can set up permissions for specific users to edit some ranges or individual cells without password. Note. This features works on Windows XP or higher, and your computer must be on a domain. Assuming that you have already added one or more ranges unlockable by a password, proceed with the following steps. Note. If the Allow Users to Edit Ranges is grayed out, click the Unprotect Sheet button to remove the worksheet protection. In the Allow Users to Edit Ranges window, select the range for which you want to change the permissions, and click the Permissions… button. Tip. The Permissions… button is also available when you are creating a new range unlocked by a password. The Permissions window will open, and you click the Add… button. In the Enter the object names to select box, enter the names of the user(s) whom you want to allow to edit the range. 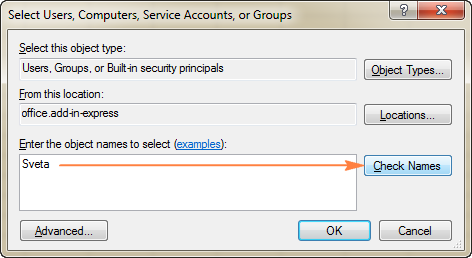 To see the required name format, click the examples link. Or, simply type the user name as it is stored on your domain, and click the Check Names button to verify the name. When you've entered and validated the names of all users to whom you want to give the permissions to edit the selected range, click the OK button. 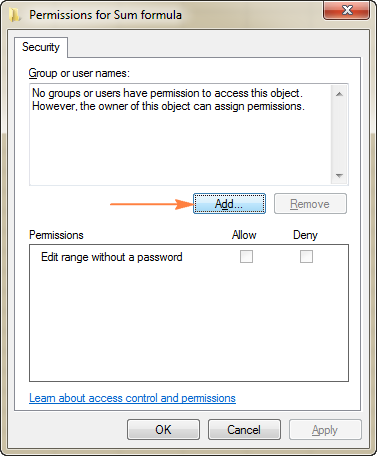 Under Group or user names, specify the permission type for each user (either Allow or Deny), and click the OK button to save the changes and close the dialog. Note. If a given cell belongs to more than one range unlocked by a password, all users who are authorized to edit any of those ranges can edit the cell. When you've put a lot of effort in creating a sophisticated form or calculation sheet in Excel, you will definitely want to protect your work and prevent users from tampering with your formulas or changing data that shouldn't be changed. In this case, you can lock all cells on your Excel sheet except for input cells where your users are supposed to enter their data. One of possible solutions is to use the Allow Users to Edit Ranges feature to unlock selected cells, as demonstrated above. Another solution could be modifying the built-in Input style so that it not only formats the input cells but also unlocks them. Users are expected to enter their data in cells B2:B9, and the formula in B11 calculates the balance based on the user's input. So, our aim is to lock all cells on this Excel sheet, including the formula cell and fields' descriptions, and leave only the input cells (B3:B9) unlocked. To do this, perform the following steps. On the Home tab, in the Styles group, find the Input style, right click it, and then click Modify…. Tip. If you want only to unlock input cells without changing cell formatting, uncheck all boxes on the Style dialog window other than the Protection box. As you can see in the screenshot above, Protection is now included in the Input style, but it's set to Locked, while we need to unlock input cells. To change this, click the Format… button in the upper right corner of the Style window. As you may remember, locking cells in Excel has no effect until the sheet protection is turned on. So, the last thing left for you to do is to go to the Review tab > Changes group, and click the Protect Sheet button. If Excel's Input style does not suit you for some reason, you can create your own style that unlocks selected cells, the key point is to select the Protection box and set it to No Protection, as demonstrated above. If you have been locking and unlocking cells on a given spreadsheet multiple times, you may have forgotten which cells are locked and which are unlocked. To quickly find locked and unlocked cells, you can use the CELL function, which returns information about the formatting, location and other properties if a specified cell. It cannot be easier, right? However, if you have more than one column of data, the above approach is not the best way to go. It would be far more convenient to see all locked or unlocked cells at a glance rather than sorting out numerous 1's and 0's. Where A1 is the leftmost cell of the range covered by your conditional formatting rule. Note. The conditional formatting feature is disabled on a protected sheet. So, be sure to turn off the worksheet protection before creating a rule (Review tab > Changes group > Unprotect Sheet). 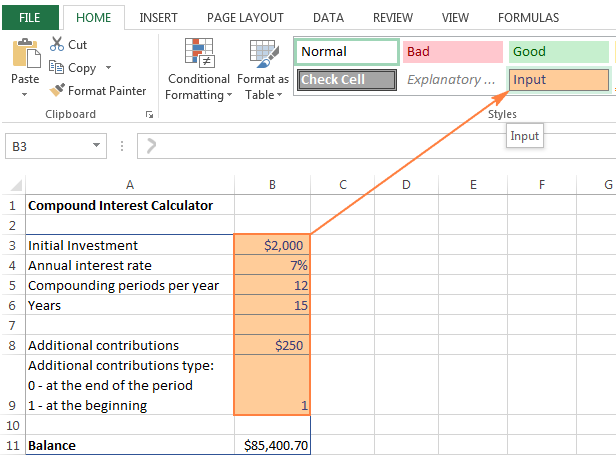 If you don't have much experience with Excel conditional formatting, you may find the following step-by-step instructions helpful: Excel conditional formatting based on another cell value. This is how you can lock one or more cells in your Excel sheets. If someone knows any other way to protect cells in Excel, your comments will be truly appreciated. I thank you for reading and hope to see you on our blog next week. 33 Responses to "How to lock and unlock cells in Excel"
I have an excel spreadsheet that I want locked except for 4 cells that are in-filled with yellow, and have RED font in them. Nice and noticeable. Unfortunately it seems utterly impossible to lock the rest of the sheet and leave these 4 cells open for data input. The above instructions won't do it. Do you know of a program other than excel 2016 that I can work with that will allow me to do this simple function? Did you try the steps from "How to lock cells in Excel other than input cells'? 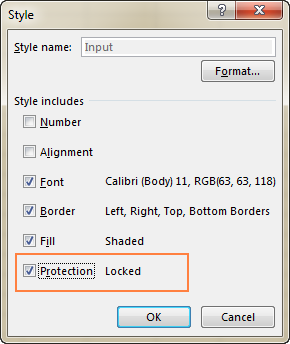 To preserve the current cell formatting, on step 2, in the Style dialog window, be sure to uncheck all boxes other than Protection. hello, do you know how to make the cells immediately uneditable once you pressed "enter" in one of the unlocked cells? you have made excel easy to understand. thank you! Does anyone have a macro that unlocks a column in a protected worksheet and each week locks that column and unlocks the next column (I am trying to prevent users retrospectively changing data they have already submitted). Hi. Great instructions. Very detailed too. I have a strange problem. I collect data in an input range and I have set them to be unlocked as instructed. I use this data in some formulae and give output. 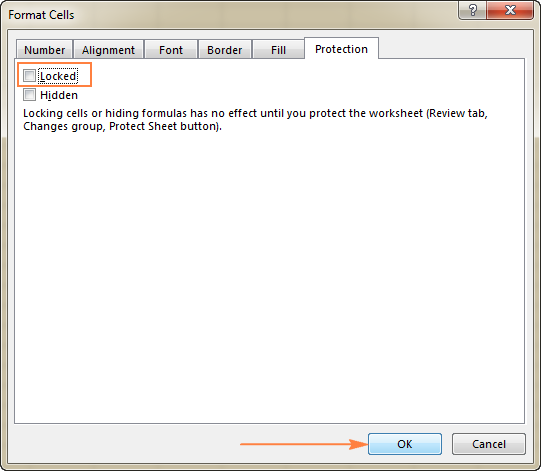 The formula cells and out put cells are locked and hidden. But once I input data the input cells also automatically become locked and I am not able to paste again without using ctrl z. 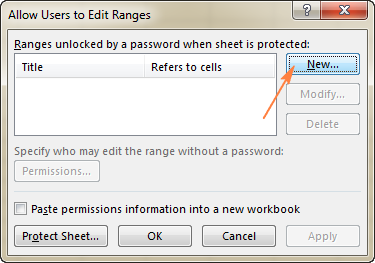 The other option is I have to allow users to select locked cells in protect sheet to enable adding new input. But I don't want the users to be able to copy other locked cells. Please help. Thank you for helping me out on this. I was little confused when I was protecting some particular cells. You have a kind heart. Is it possible to freeze a colour while still editing celss. As my files move through various stages, I change the colour of the row. However, I would like to be able to freeze certain cells within a row ie. keep the same colour for some cells while still being able to edit inside the cells and change the colour of the other cells around it. For example, I would like the purple, brown and blue parts to remain the same irrespective of how many times I change the colour of a row. I am grateful. You made my day. Thank you so much, this is super helpful!! Very clear and easy to follow. I don't have the option 'Allow users to Edit Ranges'. Any ideas? Using Office 365 on Mac. I'm very sorry you're having a problem finding that option, but I'm afraid, we won't be able to help you here. If you still hasn't managed to find the option, please, contact Microsoft support team. I went to 5 different sites to figure out how to protect some cells on a worksheet with no luck, then I found this one and I had success. Directions are so easy and clear. it's my "Dummies for protecting some cells" Thank you once again. Awesome.Today I learned how to lock some columns on my Payroll template. Thanks a million. I´ve used the info here to create the ranges with different passwords, as Ive got a sheet which will be modified by different people each one of them with their own password. Once a range is unlocked how does the user lock again that particular range? I have a spreadsheet with locked and unlocked cells. I want to use conditional formatting to permanently lock particular cells at specified future times. kindly let me know how to lock one colum or row to protect from editing. Awesome tutorials! May I know on how to lock the filter in the Pivot? I tried to locked the specific cell but it's not possible to refresh data. I have an worksheet where I have protect exact cells and leave other cell for entry. 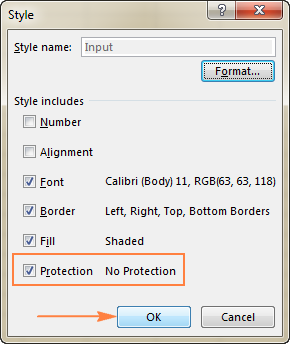 But my problem is I can entry the unprotected cell but I can not format that unprotected cell (such as font colour,size etc) unless un-protect the sheet. Is any way to protect the exact cell and leave other cell as normal cell work. I do not add or delete on this cell from 1:00 PM to 2:00 PM at 04/20/2018. My excel sheet is used as an inventory, i want to make it the way no one can modify Lows and cells, but also they can add tools and materials information then be able to save. Is that possible? If yes can you please provide steps to do it? Can any one help me figure out this? I am trying to protect my work book without using password but unfortunately I am unable. Please see how to protect Excel files with or without passwords in this article on our blog. If you don't find the solution to your problem, then please describe in more detail what you do to protect the workbook. Great instructions. In a few minutes I was able to protect a worksheet, yet be able to have selected cells provide user input into a computation, with results appearing in protected cells. Pls help me on this issue. i have 3 ranges for certain cells wiz no password..
Each range has different user name permission set.